Russell and Hogg should make a big difference to last weeks' turgid attempt. Unfortunately he's the most likely candidate to provide a scoring break and pass or score on his own. Article is a waste of space. Could have been summed up in one para. 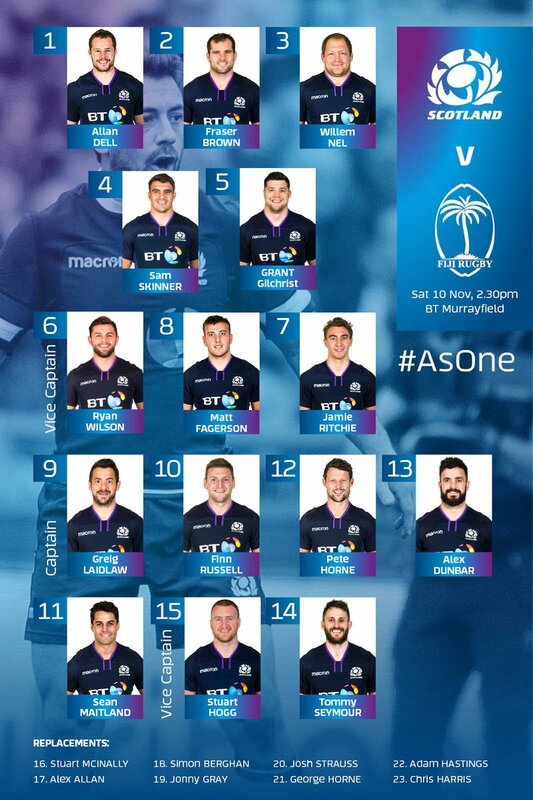 "Scotland employ a defensive system of 14 men in the frontline and only one sweeper. This is not unusual and other international teams do this to good effect eg England. This system relies heavily on tackle percentage though and if an attacking side can manipulate the slightest gap or hit a good angle it can become very difficult to halt progress once they have busted through. Jones was targeted for two of these breaks"
PS: If you have seen that analysis video on 'how to beat the ABs' it shows the different systems teams employ and how the ABs use 3 players at the back (halfback and two others) so that breaks can be covered and the turnovers can be attacked from. We can only do this because although we leave more space in the frontline, we back ourselves through fitness and quick thought to scramble on breaks. Big win for Scotland 54-17. Seymour hat trick.